As one of the world leaders for innovation, complexity and variety in the construction industry, this article examines how effective the UAE’s laws are in ensuring the health and safety of its workforce and identifies some steps that should be followed in the aftermath of an onsite accident. Despite the rapid pace of development in the United Arab Emirates over the past few decades, changes to the legal framework governing the health, safety and welfare of the country’s labour force have been relatively modest. Regulations concerning construction site safety have historically been governed by the Federal Law No. 8 of 1980 (as amended) (the UAE Labour Law) and supplemented by a patchwork of legislation, regulations and guidelines issued primarily by governmental and quasi–governmental bodies at both federal and individual Emirate level. Every year, the construction industry accounts for a high number of occupational injuries and fatalities, bringing to the forefront concerns over occupational safety in the UAE and the efficiency of the current legal framework. One of the main concerns for employers in the construction industry is to understand and implement the wide ranging set of legal obligations in order to ensure the safety of the workers. The UAE Labour Law established the foundations of health and safety law in the UAE, imposing a number of mandatory obligations on employers to comply with the safety measures prescribed by the Federal Ministry of Labour and Social Affairs. Part 5 of the law sets out (at Articles 91 to 101 inclusive) the minimum requirements to which employers must adhere, including the provision of individuals trained in first aid, the availability of medical facilities complying with the standards imposed by the Ministry of Labour, general medical examinations of employees at six month intervals, and employee training on occupational hazards prior to commencing employment. The UAE Ministerial Order No. 32 of 1982 (the Ministerial Order) enhanced employers’ responsibilities within the construction industry, with 10 articles exclusive to Workers’ Safety, Protection, Health and Social Care, setting out the entitlements of workers in terms of working conditions, fire safety and the regulation of excavation and demolition work. Further UAE ministerial decisions following the implementation of the UAE Labour Law have sought to improve the standards of medical care provided for employees, regulate the laws concerning hazardous works,3 and place greater protection on employees working in remote areas and locations. Many of the initiatives taken to respond to the need to improve occupational and community health and safety have been driven by the local government departments within each Emirate. In 2008, Dubai Municipality issued the Dubai Safety Construction Manual and alongside the existing Dubai Local Order No. 61 of 1991 they mandate the provisions applicable (in certain cases) to both employers and employees on construction sites, including the obligation to wear appropriate protective equipment, clothing or devices; to ensure that machinery and tools are of good condition; and the procedures to adopt in the case of work accidents. The Order also provides for inspectors of the Health Department to oversee and ensure compliance with the provisions of the Order, as well as impose penalties for violations, including warnings, fines (not less than Dhs 5,000), closure of the premises for up to one month, and cancellation of commercial licenses. Such penalties are without prejudice to the more severe penalties imposed by federal laws and regulations. In Abu Dhabi, the Environment, Health and Safety Management System (EHSMS) was implemented by Decree No. 42 of 2009 with the purpose of protecting the environment and human health, and ensuring safety of workers in the workplace. The EHSMS is based on international standards of the International Labour Organization (ILO) and the Occupational Health & Safety Advisory Services (OHSAS); its Framework comprises the EHS Decree, EHS Policy, EHSMS Manual and the Codes of Practices, along with various standards and guidelines, sector guidelines and self-regulation COPs. In 2010, the Abu Dhabi Occupational Safety and Health Center (OSHAD) was established to ensure the implementation of a comprehensive and integrated management system for occupational safety and health. The OSHAD System Framework provides for a number of mandatory requirements (addressed in the OSHAD Manual, Codes of Practice, Mechanisms and Elements), along with non-mandatory guidance (in the form of standards and guideline values, technical guidelines and guidance documents). Can regular inspection prevent on-site accidents? 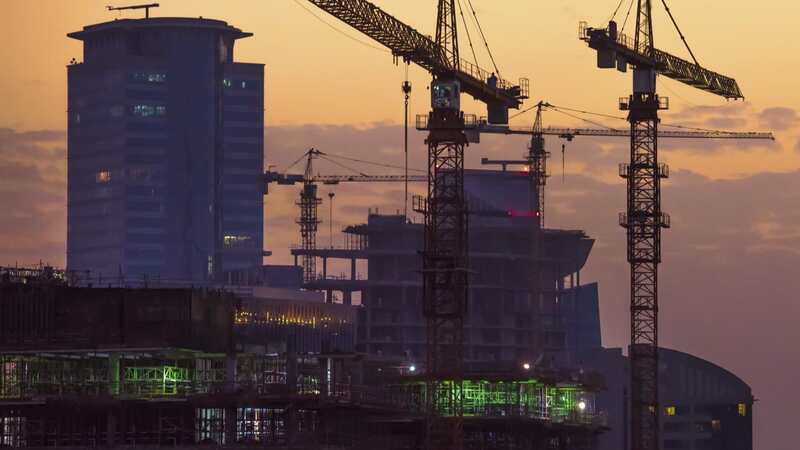 From the Government’s perspective, given the size of the construction sector in the UAE, a key issue concerning labourers’ legal rights is the ability to monitor and enforce the standards imposed by the legislation and regulation in place. Chapter 10 (Articles 116 to 180) of the UAE Labour Law establishes an inspection regime whereby specialised inspectors attached to the Ministry of Labour and Social Affairs are authorised to undertake labour inspections and investigations on sites governed by the UAE Labour Law to ensure the proper implementation of the Law. The powers of these inspectors are far reaching, authorising them to enter any establishment at any time of the day and night, interrogate employers and employees, and inspect all documentation required to be kept in accordance with the provisions of the Law. However, with thousands of construction sites scattered across the UAE, the capability of the Ministry and the Municipality to deploy a sufficient number of inspectors to visit and thoroughly inspect construction sites is a contending factor. According to a 2015 Worker Welfare Report published by the Ministry of Human Resources & Emiratisation, the Ministry carried out 4,127 health and safety site inspections in 2015. These inspections are crucial if the standards are to be upheld on site, and the risk to workers’ welfare is to be minimised. Growing scrutiny over the welfare of workers in recent years has seen the implementation of UAE Federal law initiatives to improve the working conditions of labourers. In June 2005, Ministerial Decision 467/2005 introduced a prohibition on working under the sun. This Ministerial Decision is updated and issued annually in June, to take into account any necessary amendments to reflect temperature fluctuations. Over the last decade, there has been a strong push to improve the living conditions of labourers in the UAE. UAE Cabinet Resolution No. 13/2009 introduced specific regulations governing the provision of collective labour accommodation in line with the ILO’s Worker’s Housing Recommendation (1961), applicable to collective accommodation for more than 500 employees. Most of the larger developments (Dubai EXPO 2020’s site for example) implement a thorough Worker Welfare programme to implement standards above and beyond the minimum standards prescribed by the UAE Law. While the regulations do not prescribe in detail the standard of accommodation, they set out minimum requirements in respect of washing and sanitary facilities, ventilation, protection against fire, and the size of occupational space. The relevant government departments must also inspect labour accommodation and penalties for non-compliance can include both financial and criminal charges against the accommodation owners. Every year, the construction industry accounts for a high number of occupational injuries and fatalities, bringing to the forefront concerns over occupational safety in the UAE and the efficiency of the current legal framework. Despite the UAE Labour Law making it a requirement for employers to report incidents of work-related injuries and occupational illnesses to the police and Ministry of Labour (Article 142), construction companies do not always keep a concise record of on-site injuries and many accidents are not made public. The lack of public statistical data in this regard means that we are unaware of the true figures accounting to occupational illnesses, injuries and fatalities in the UAE each year, nor are we able to rely on such data as a means of identifying the inadequacies of the system and developing ways to better improve health and safety practices in the construction industry. Last year, the death of a worker in a crane accident on an under-construction site of Dubai’s City Walk resulted in the Dubai Police referring the crane controller, the safety engineer and another worker on charges of negligence to the public prosecution. The Dubai Municipality also carried out its own investigation into the incident, but little information has since been reported. 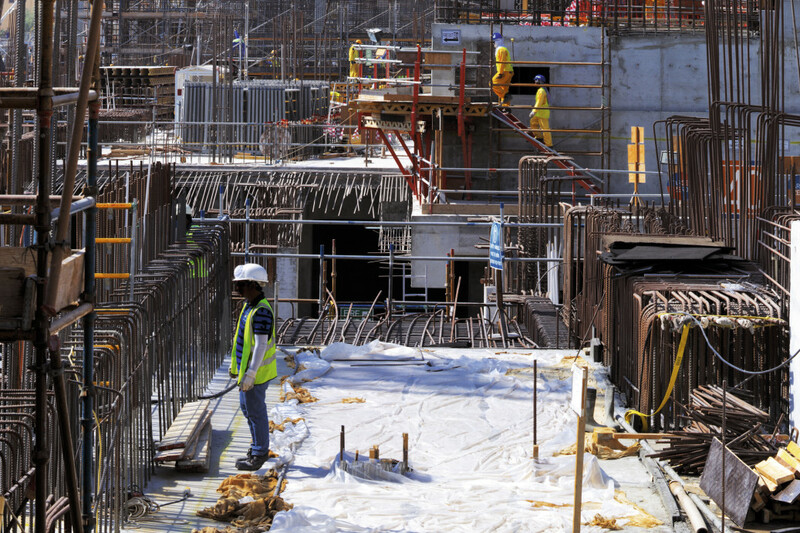 The death of a worker on the Louvre museum in Abu Dhabi’s Saadiyat Island in June 2015 is a further, albeit rare, example of a publicly reported fatality within the construction sector. While unfortunate incidents such as the aforementioned are sadly inescapable in complex construction projects involving thousands of workers, they serve as a reminder of the importance of having in place a unified and enforceable set of legislation that clearly and concisely governs the rights of workers, the obligations on employers and the means of enforcement. The current amalgamation of mandatory and non-mandatory obligations deriving from numerous sources can be a concern for construction professionals wishing to ensure the safety of their workforce while simultaneously minimising their exposure to liability. If a worker is badly injured, or there is fatality on a construction site, the police are required to refer the matter to the Public Prosecution for investigation, which may result in the case escalating to the local courts. The provisions of the UAE Civil Code will apply at this stage, and the company (as opposed to any individual employed by the company) may be held liable in the case of an accident. If the death of the individual was caused through the fault of another person, the crimes committed by an employer are liable to punishment under the UAE Penal Code which can result in prison time. Pursuant to Shariah law, diyah (also known as blood money) constitutes the compensation payable by an individual who has committed an act or omission that resulted in the death of another. Diyah may be payable in addition to statutory compensation, including an obligation to pay for medical treatment (UAE Labour Law), and compensation equal to 24 months’ basic salary, subject to minimum and maximum caps. The UAE Labour Law sets out the penalties imposed for breach of health and safety law. Liability can include criminal sanctions, civil compensatory damages and other administrative penalties. Ministry of Labour inspectors also have the power to levy fines, temporarily or permanently close down establishments or suspend the use of equipment that violates applicable safety standards. They can also impose penalties (which may be compounded in the case of repeat offences) up to a maximum of AED 5 million. Companies should always be prepared to respond to an incident in the most effective manner, recognising that the health and safety of their workers is paramount. The ability to respond to a crisis in line with an agreed policy can make a substantial difference to a company’s overall recovery from the crisis. Immediately deal with any mandatory reporting obligations including communicating with the members of the injured employee’s family. Surprisingly the ‘next of kin details’ are usually not updated regularly, so noting that these details should be updated annually is important. A company’s ability to effectively respond to a crisis directly correlates to the company’s responsibility to train all their employees to respond. Preventing accidents from happening is everyone’s responsibility, but knowing what to do when an accident happens is also everyone’s responsibility. 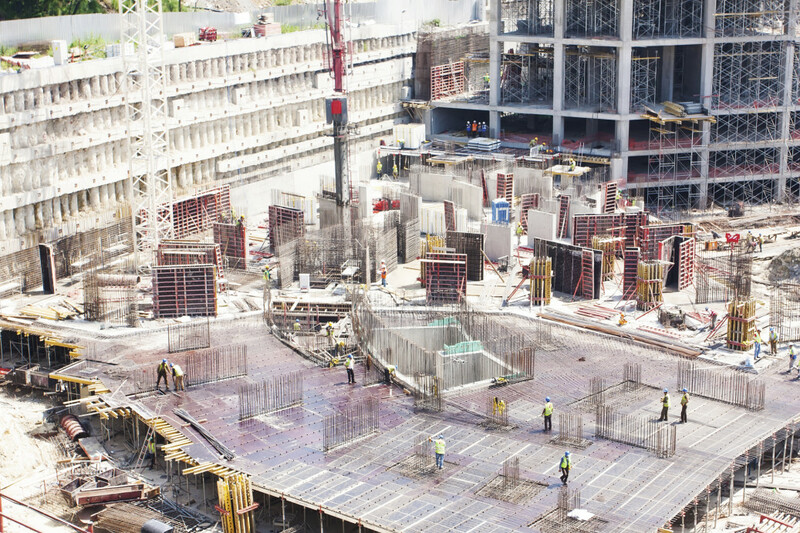 While the UAE is making clear progress towards improving its health and safety standards on construction sites, it is clear that the lack of unified and prescriptive legislation is causing difficulty for employers and contractors who are overseeing large and culturally diverse workforces on complex (and usually fast paced) construction sites. Notably, there is not one uniform body or authority responsible for health and safety monitoring, regulating and prosecuting across the UAE, with the Ministry of Labour, the Dubai Municipality, the Abu Dhabi Municipality, Zones Corp and the OSHAD (among others) each producing their own legislation, guidance and documentation. Any legislative amendments should not, and do not preclude a company from adopting higher standards to provide additional support and guidance to employees to protect them from accidents. The key stimulus for change must be internal; from employers, contractors and safety managers wishing to provide a safer and healthier working environment for their employees, to labourers themselves taking positive action in ensuring that they are well aware of their rights and responsibilities under applicable laws. Reassurance is nonetheless drawn from the readiness of the Municipalities and governmental authorities to bring regulation in line with the international standards of the ILO and OHSAS, which should gradually lead to a more standardised approach to health and safety across the construction sector. Representing both the UAE and international entities both regionally and internationally, Rebecca Kelly counsels clients on arbitration, litigation, corporate and regulatory compliance, regulatory investigations, occupational safety and health, and white collar crime issues. David McDonald counsels regional and international clients on a variety of commercial, corporate, construction, and financial services disputes.